Today we begin our season of Advent, which is the Christian season of preparation for Christmas. The word “advent” comes from the Latin word adventus, which means “coming” or “visit.” In the Advent season, we keep in mind both “advents,” both “visits” of Christ, the first in Bethlehem and the second yet to come. Because Christ has already come to us once and brought light into this world, the white Christ candle has already been lit and will remain lit the entire Advent season, signifying the light of Christ that shines brightly today. Our Advent theme this year is “The Manger’s Missional Mandate.” Jesus Christ, the eternal Son of God, came from Heaven to Earth on a mission to save the world. At the beginning of His mission, He took on flesh, was born of the Virgin Mary, and was laid in a manger. Every Christmas, the manger is a reminder of the Mission of God, and that mission will not be finished until Christ comes again. Today we light the CANDLE OF HOPE. The world has only one Savior, Jesus Christ. There is no other name under Heaven by which man can be saved. Therefore, the world has only one hope, the gospel of Jesus Christ. There are people all over this planet who need to hear that Jesus saves, and God has given the task to us to spread this hope. But let us never forget that there are men, women, boys, and girls right here in Alvaton, in Bowling Green, in Scottsville that need to hear the gospel again and some even for the first time. God has placed you here for a reason, and that reason is to be missional, to spread the hope of Jesus Christ wherever you go, day in and day out. 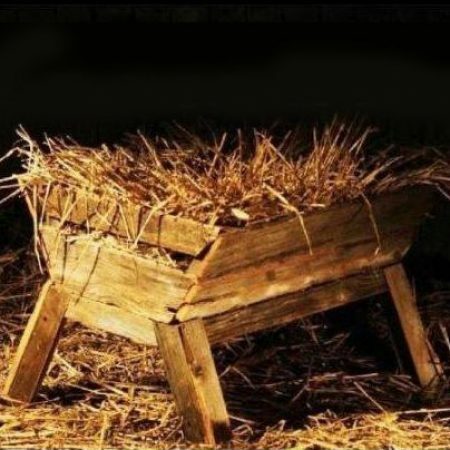 The manger mandates this mission.